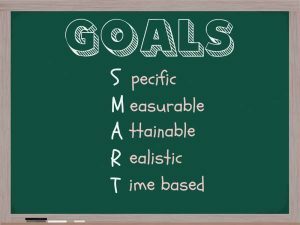 Home Goal Setting What is a Goal? The modern performance driven organization manages employees and managers through the strict goal setting process. The top management (executive management) sets the strategic direction for the organization and defines main milestones for the year. They let the line management translate milestone into goals for departments and employees. The goals represent desired outcomes of different plans of the individual employees. The goals are usually long-term desired changes and implementations of new approaches in a daily job. The goal represents the increase of the productivity or the competitiveness of the organization. The goal makes a difference between doing and reaching. The goals help to build a more competitive organization than the company without defined objectives. The goals have to be set in line with the business strategy and identified gaps in the department. The goals are not a part of the standard job description. The goals build the extra job content for the defined period. The goal is the mutual agreement between the manager and the employees. The manager proposes the goal, but the employee has to agree with the goal. They are responsible for the specification of the goal. They are responsible for the agreement of the cooperation as they reach the goal. The manager cannot surpass the responsibility by setting the goal. The manager is responsible for the overall goals achievement. The manager cannot make the failure as the excuse for himself/herself. 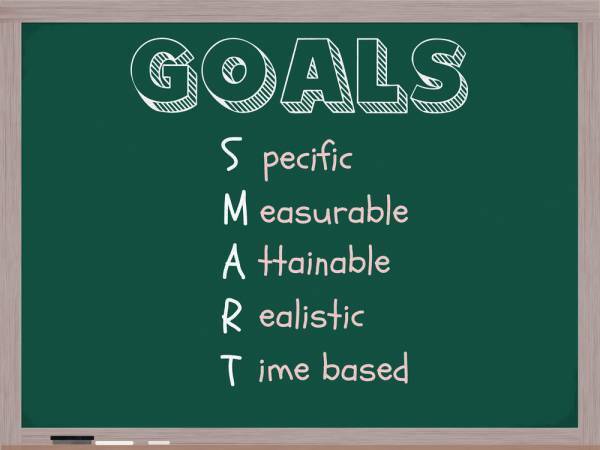 The correct goal in the organization has to be set using the SMART goal setting methodology. The employees and managers need certainty about the correct definition of the goal. The employee has to understand the definition of the desired outcome and what is expected as the result. Otherwise, many discussions can be held at the performance appraisal discussion. The employee has to understand the goal and has to be able to imagine several options of reaching the goal. The order to work harder is not a goal! The manager is responsible for the monitoring of the progress and taking appropriate actions and interventions to get the effort back on track. The manager has to set the goal and has to make a regular adjustment, if it is needed. The top management influences goals in the organization. The executives set the framework and the playground in the organization. They have to set the playground, which is compatible with the corporate culture in the organization. They cannot set the goals, which are in a direct conflict with the corporate culture. The employees cannot be victims of the system. It is the role of the top management to change the corporate culture. The employees will adjust to the corporate culture. It cannot start with employees. The line management will not allow such a change in the organization. The organization has to be realistic in setting goals to employees. It cannot expect the complete change in the behavior of employees within 12 months. It has to split the long-term business strategy into milestones, and it has to closely monitor the progress. Goal is not a task. The task is short-term, and it overrides other priorities. Most tasks have to be finished in a short time. The tactical and strategic decisions are based on results of different tasks. They can influence goals as they can shape goals. However, the team cannot be management by setting many tasks as they miss the strategic framework.